The StartupHPC Meetup at SC14 has published their agenda. Entrepreneurs interested in high performance computing are encouraged to attend the event, which will take place at the Royal Sonesta in the French Quarter in New Orleans on Monday, Nov. 17 from 9:00am-3:30pm. Registrations are now open for the event. We hope you can attend! We’re delighted to feature an inredibly strong roster of speakers, including Adrian Cockcroft of Battery Ventures, and Thomas Thurston of WR Hambrecht & Co. whose illustrious backgrounds are briefly described below. Additional speakers include Karl Freund of AMD, Dr. Wolfgang Gentzsch of UberCloud, Elizabeth Leake of STEM-Trek, Addison Snell who leads the analyst firm Intersect360, and Steve Campbell of Orion Advisors who used to teach a course on entrepreneurship. Adrian Cockcroft was named one of the top leaders in Cloud Computing in 2011 and 2012 by SearchCloudComputing magazine and was just named one of the first Amazon Web Services Community Heroes. He advises Battery Ventures and its portfolio companies about technology issues and assists with deal sourcing and due diligence. Before joining Battery, Adrian helped lead Netflix’s migration to a large scale, highly available public-cloud architecture and the open sourcing of the cloud-native NetflixOSS platform. 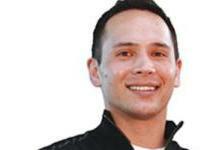 He was a founding member of eBay Research Labs, developing advanced mobile applications and even building his own homebrew phone, years before iPhone and Android launched. As a distinguished engineer at Sun Microsystems he wrote the best-selling “Sun Performance and Tuning” book and was chief architect for Sun’s HPC and Visualization group. 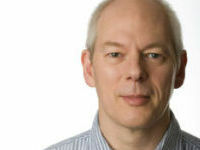 Follow him on Twitter: @adrianco. Thomas Thurston is a Partner at WR Hambrecht + Co, an investing firm in San Francisco where he leads research and venture capital. The firm and founder Bill Hambrecht have participated in over 500 IPOs and venture investments including Adobe, Amazon, Apple, Genentech, Google and Netscape. He is also CEO of Growth Science, a data science lab in Portland that uses algorithms to predict the rise and fall of businesses. Growth Science works with an elite roster of Fortune 500 firms and has helped guide billions in growth investments spanning private equity, organic growth and acquisitions. He serves on the Board of Directors at Ironstone Group, a private equity firm based in San Francisco. Thomas and his early research were the subject of book The Innovator’s Manifesto: Deliberate Disruption for Transformational Growth by bestselling author Michael Raynor. He was a resident Fellow at the Harvard Business School, collaborating with Professor Clayton Christensen. Register now for the StartupHPC Meetup at SC14.